Boldon are also bolstered by the news of the return of wicket keeper Geoff Sargon. Boldon skipper Chris Ellison said ahead of tomorrow’s encounter: “Nathan Hewitt is on holiday, but Geoff Sargon returns as wicket keeper and will bolster the ranks. “The side are in a bit of a trough at present, but they are capable of better form. “And with returning players, success should be just around the corner and hopefully it will start tomorrow away at Willington. Willington skipper James Stock responded with: “Jake Louth is on holiday for a week and it’s likely that Jamie Dass will take his place, on his return from Durham CA duties. “Adam Khan also returns at the expense of Peter Leggett. South Shields enjoy a rare weekend off. Whitburn, third in the Premier Division, face Felling. Whitburn skipper Paul Shields said: “Kieran Waterson returns to the team and replaces Craig Henderson. “Chris McBride and Brydon Carse face late fitness tests and should they fail the two players short listed as replacements are Ross Carty and Luke Smith. “The side is going well, but we need to be wary of Felling who travel with back-to-back wins under their belt and appear to be at their most dangerous when chasing a total. 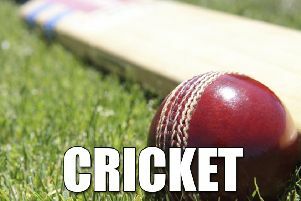 Readers Durham Cricket League Division Two’s bottom club Silksworth could do with a win and they host Boldon CA. Silksworth captain Andy Barrass said: “We are still missing Robbie Jones and Phil Middlemiss, but we hope to welcome back Mark Forster and Gary McAvoy for the Boldon clash. In Division One, Whiteleas are 11 points adrift of safety following their slide into the dreaded relegation zone and they face a tough game at home to Marsden. Two defeats last weekend in the ‘double headers’ did not help obviously, but they need to find some form quickly.